Panasonic Corporation is a worldwide leader in the development and engineering of electronic technologies and solutions for customers in residential, non-residential, mobility and personal applications. Since its founding in 1918, the company has expanded globally and now operates over 500 consolidated companies worldwide, recording consolidated net sales of 7.30 trillion yen ( aprox £42 billion) for the year ended March 31, 2013. Committed to pursuing new value through innovation across divisional lines, the company strives to create a better life and a better world for its customers. 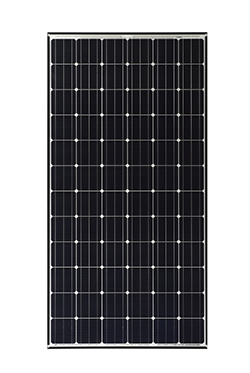 With the new HIT modules, Panasonic re-established its position among leading solar Module manufacturers. The first modules will be shipped from the company’s newly established global manufacturing hub in Malaysia. The HIT-N240 boasts the highest quality and reliability: Panasonic employs strict materials selection and qualified manufacturing processes. A vertically integrated factory allows for exhaustive quality assessments at every step of production. 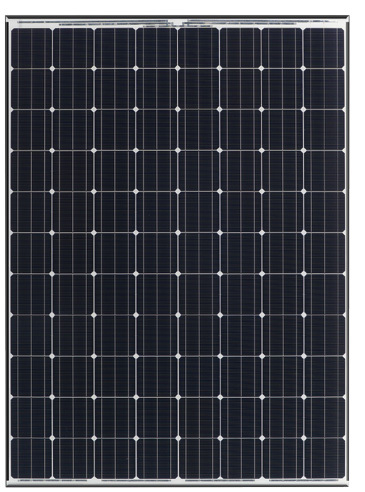 The resulting modules are IEC certified by JET. With a Module efficiency of 18.5 % and a cell conversion efficiency of 22 %), the HIT® N285 ranks high on the level of efficiency in the market. With its very low temperature coefficient of only -0.29%/°C, the HIT®offers better performance than conventional cells in normal operating conditions.